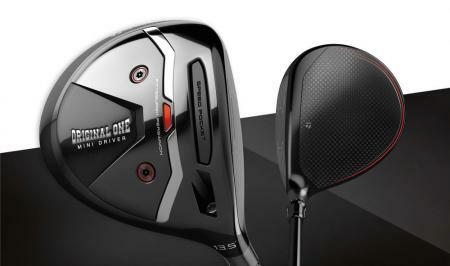 The line perfectly blends trusted technologies such as IGNITE Foam, providing superior step–in comfort; an Epic Performance Last, for the perfect fit; premium materials for durability; and a proprietary DISC closure system, with new, on–trend colors, materials and patterns for a statement on and off the course. Below are the new footwear highlights for Autumn 2017. 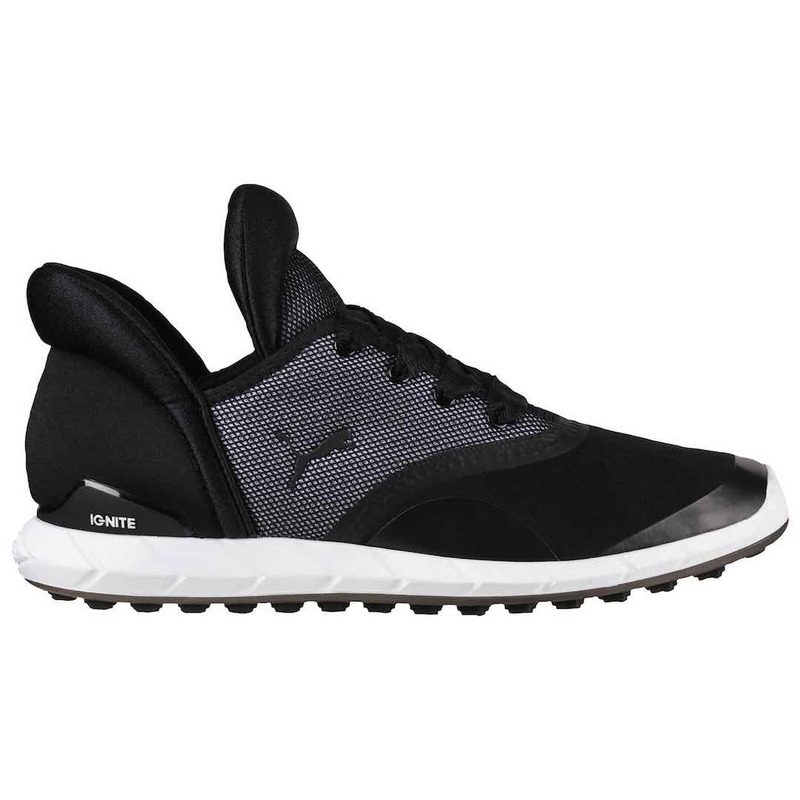 IGNITE DISC Extreme – £100 - One of PUMA Golf’s most iconic, fashion–forward shoes, the IGNITE Spikeless Sport, returns with an all new graphic print. 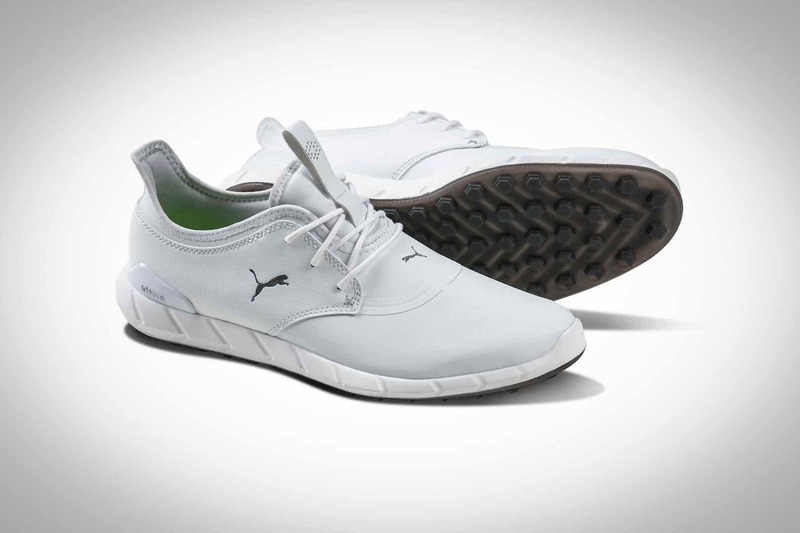 Like its predecessor, the innovative sporty mesh upper combines with a premium leather saddle and PUMA’s proprietary DISC technology that tightens with a simple twist for a custom fit. Available in four eye–popping colorways (Gray Violet/PUMA Silver/Steel Gray; PUMA black/PUMA Silver/Dark Shadow; Smoked Pearl/PUMA Silver/Dark Shadow and White/Gray Violet/High–Risk Red – the Red/White/Gray version of the shoe are part of the Volition America Collection – a portion of all sales benefit the Folds of Honor Foundation, supporting military families of wounded or fallen soldiers), the IGNITE DISC Extreme is available in sizes 7-14. IGNITE DISC Extreme - £100 - In this new design for the Autumn, an innovative, sporty microfiber combines with a textile tongue and lining for a super modern silhouette and for a comfortable and stable shoe for wear on and off course. Designed to step up golfers’ fashion games on and off the course, the IGNITE SPIKELESS Pro offers a premium microfiber waterproof upper, embossed support saddle and super soft mesh lining for the ultimate spikeless performance shoe. Available in two striking hues (White/White/Silver and White/Quarry/Silver) the IGNITE SPIKELESS Pro comes in sizes 7–14. 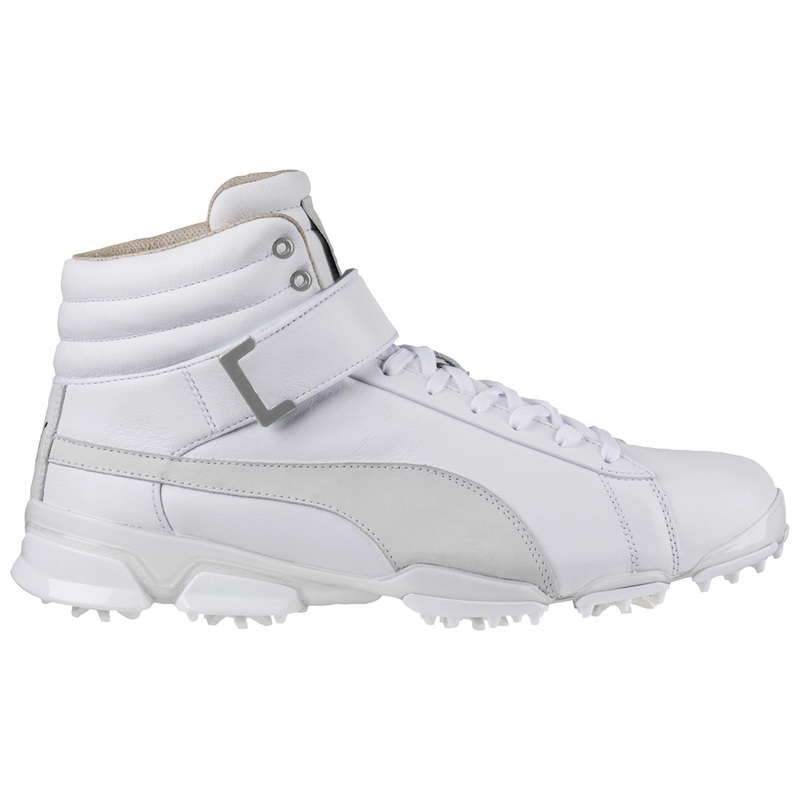 New for this season, PUMA GOLF introduces its iconic Hi–Top in an all–white colorway. The TITANTOUR and revolutionary IGNITE cushioning platform take comfort and performance to a new level with amazing stability and support from this head-turning high top silhouette. Sizes 7–14 available. LADIES IGNITE SPIKELESS SPORT Floral - £100 per pair. 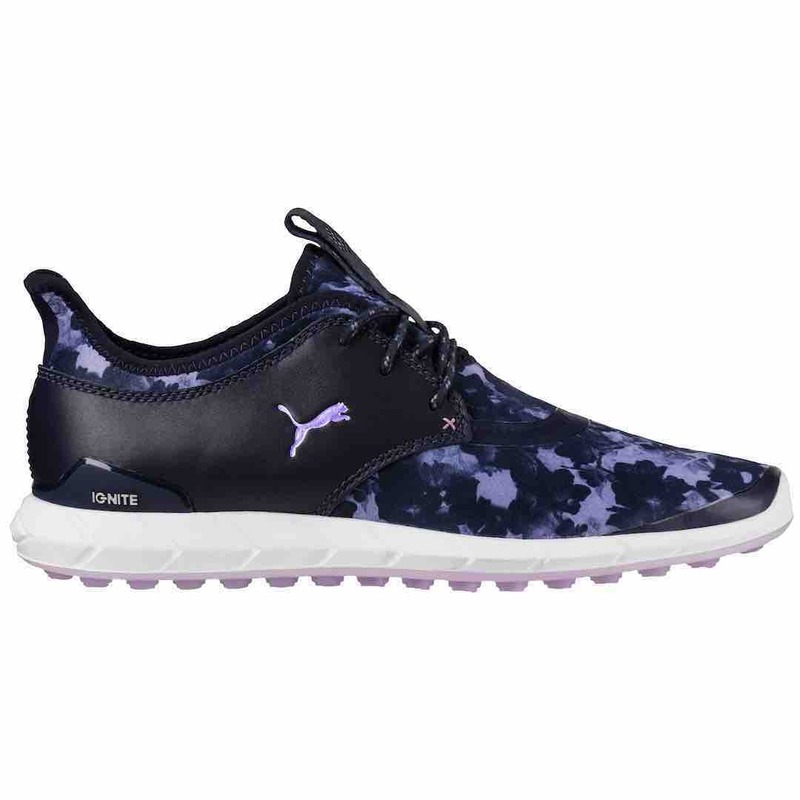 An on–trend floral graphic print provides one of PUMA Golf’s most iconic women’s shoes a fashion forward, modern look. This sporty silhouette and profile designed with inspiration from classic golf footwear, uses a combination of textile and leather to take golfers shoe game to a new level. Full IGNITE Foam in the midsole is guaranteed to provide supreme comfort. Available in 3 eye–catching colorways (PUMA Black/PUMA Silver/Dark Shadow, Quarry/Nrgy Peach/Quiet Shade and Peacoat/Baja Blue/Smoky Grape) this shoe comes in sizes 5.5–12. 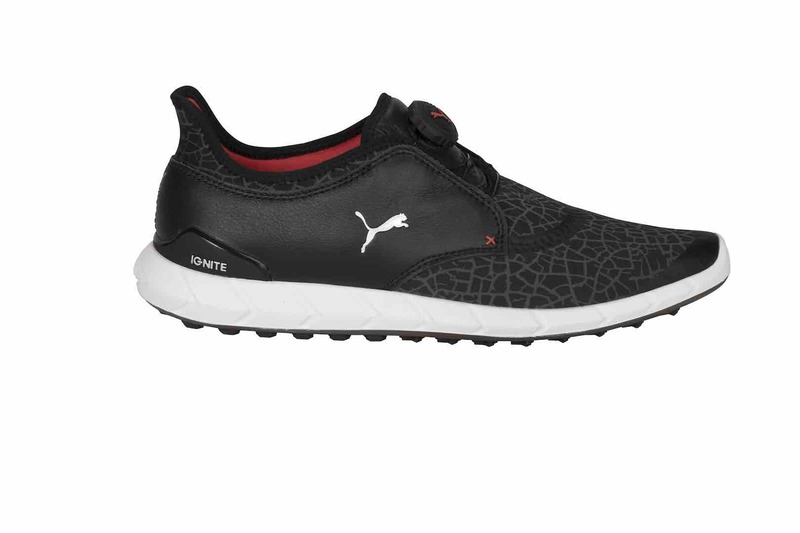 Naming a shoe “STATEMENT” is a bold move for sure, but this is arguably PUMA GOLF’s most attention–grabbing design from the AW 2017 footwear collection. The IGNITE STATEMENT boasts a progressive silhouette that looks more like a casual street shoe, that is sure to make a statement on the course. IGNITE Foam provides extreme comfort, while 39 strategically placed hexagons on the sole provide multi-directional traction for stability through your swing. This new design is available in two chic color schemes (Gray Violet/Quiet Shade and PUMA Black/White) and comes in sizes from 5.5–12. 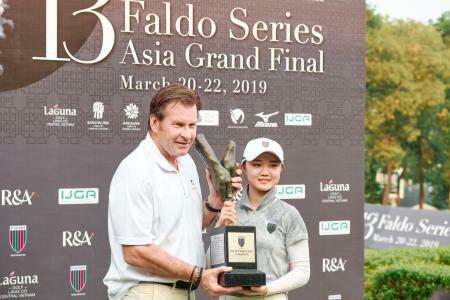 Look out for PUMA Golf staffers including Rickie Fowler, Lexi Thompson, Ben Crane, Jonas Blixt and Bryson DeChambeau, who will be rocking these designs on Tour this year. The PUMA Golf Autumn–Winter 2017 footwear collection is available from July.